Y’know how it goes with social media. One thing leads to another and suddenly you are Facebook Friends with someone you haven’t seen or communicated with in forty-nine years. Fast-forward to this year. I notice posts from Liz in our EW ’69 group, that she had a new book coming out. I immediately looked up the books and discovered that since our graduation she has churned out forty something novels. I immediately set about ordering The Quarryman’s Wife (Quercus Editions Ltd, 2018), and discovering that it belonged to a series called “The Weardale Sagas,” I ordered also an earlier story, The Guardian Angel (Quercus Editions, 2018). Historical romance is not ordinarily my cup of tea–I am more of a nonfiction reader–but these are charming. Best of all, Wife picks up exactly where Angel leaves off, so the pair provides a pleasure similar to a binge watch of some favored program from the BBC. 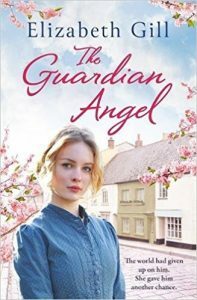 The protagonist of The Guardian Angel, Miss Alice Lee, confectioner extraordinaire, is the center of gravity around whose sweet shop the village of Stanhope appears to revolve. A good Methodist, she responds to her minister’s prodding to write to the young “murderer,” Zebediah Bailey, who was eight or nine years into a ten-year sentence for what sounds more like manslaughter. She sends the lad sweets, as well, and finally he writes back. The novel begins, therefore, as a sort of epistolary work. Eventually, weathering the disapproval of many of the townsfolk (after all the time frame is mid-19th century), Miss Lee creates an ad-hoc family in the cramped living quarters behind the shop: herself sharing a room with the orphan girl Susan Wilson, whose kindly guardian had died, and Zeb Bailey, eventually sharing a room with his estranged father Mr. Bailey. Zeb gets a job at the local quarry where he meets Daniel Wearmouth; Dan’s father Josiah, died in the same prison Zeb was in and Zeb had shown kindness toward him. The young deacon, Charles Westbrooke, estranged scion of a landed family in the upper Dales, and Arabella Almond, beautiful daughter of the quarry owners, complicate things between Dan and Susan. Other characters—townspeople, quarrymen, even deceased parents—wander in and out of the story. The Quarryman’s Wifeand out of the story. The course of love is potholed and twisted by detours of course. Nearly everyone suffers personal, professional or romantic disaster—but the good news is that Miss Lee and Zeb Bailey fall in love—and finally admit it to each other. Trying to avoid spoilers here so I will leave it at that. Wife follows the same cast and a handful of new eccentrics down their rough and rocky paths. 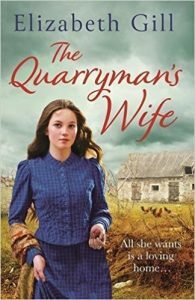 The eponymous quarryman’s wife who would seem to be the anchor of the storyline, Nell Almond, is another interesting, complex woman who taps into resources of character and experience that are surprisingly deep. In the end, however, there are several women—among them Alice Lee Bailey and Susan Wilson Wearmouth—who are also quarryman’s wives, and the trials, hopes and choices all these women make are tightly interwoven. Sadly, the futures of the denizens of Stanhope and the Dales is for the present unknowable. Apparently, Liz’s editor wants a more modern timeframe for the next book. Ah well. A native of County Durham, Liz’s knowledge of the area and deep affection for its landscape and history are evident. She describes the ways that homes are tucked into hillsides to withstand fierce winds and how water seeps through the front door in a storm, wetting the rugs of a home located in a bottom not far from the river. Small cottages are contrasted to the large homes of the wealthy and the social elites. Different villages and towns are individualized in character and the changes wrought by the Industrial Revolution shape the stories in myriad subtle ways. Elizabeth Gill is a very good writer!